New York is known for its culinary diversity. Whether it’s Italian or Chinese food you seek, you’re likely to find it on the streets of New York. However, one thing we lack is Cajun cuisine. Adam and Clay, two Southern natives, hope to change that with the opening of their new restaurant Gumbo Bros. Gumbo Bros is the first fast-casual style Cajun eatery in the city. The owners decided to start making Cajun food because they missed the comfort food they used to eat back home. The pair started small and built a following through events like Smorgasburg and cooking for other caterers. After a while, Adam and Clay decided it was time to branch out and create their own storefront. They chose the location because it is sandwiched between commercial Downtown Brooklyn and residential Cobble Hill, and they liked the fusion of different environments. So far, the opening of the restaurant last Friday has been greeted enthusiastically. New Yorkers are hungry for Cajun and Creole food. 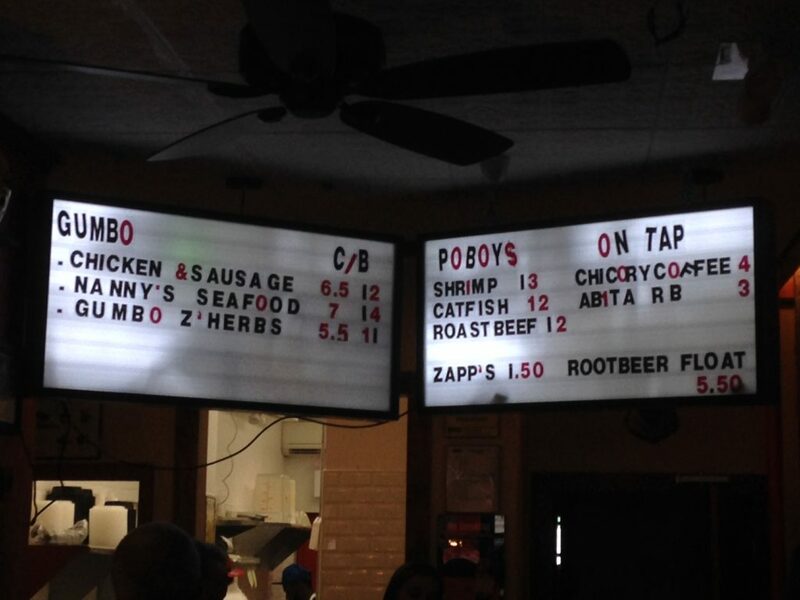 The menu consists exclusively of po’boys, gumbos and select other Cajun staples. The food is truly authentic, made with local produce, chemical-free Gulf shrimp, and Lodenheimer bread imported from New Orleans. To round out the French Quarter vibe, there is Nitro Brew chicory coffee, a selection of Louisiana beers such as Abita ales and lagers, as well as root beer on tap. The restaurant will be primarily take-out oriented, although there are 16 seats inside. It is located at 224 Atlantic Avenue between Boerum Pl and Court St. The phone number is 917-909-1471 and the website is thegumbobros.com. 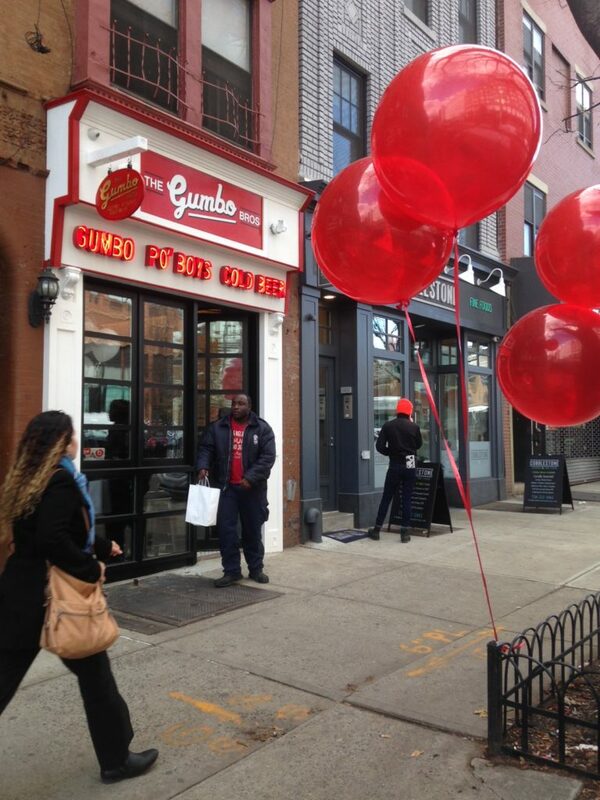 Gumbo Bros’ old-fashioned facade invites hungry pedestrians.